Fellow best-in-class technology and marketing providers. Become a trusted partner and an advocacy rainmaker. Engage guests when they’re most excited about their new trip in a way that feels natural, and good things will follow. Pre-stay engagement is a crucial building block for advocacy. Our ever-growing team of booking engine partners makes it simple for hotels to boost direct bookings with the flip of a switch. In1 Solutions helps hotels win more direct bookings and get greater brand exposure by providing a seamless distribution path from the PMS to the hotel’s website, to its chosen OTAs, and to a global market. InnQuest Software, known for roomMaster PMS, delivers all the tech hotels need to manage their properties, drive direct bookings, and increase profits. Over 5,500+ hotels rely on InnQuest’s industry-leading technology every day. Nozio supports hoteliers in implementing hotel marketing strategies, placing direct sales as the key channel of distribution. Their attract > convert > share strategy merges modern distribution needs to maximize revenue. Lanyon Passkey — part of Lanyon’s Smart Hotel Cloud software — is the leading reservation, upsell and optimization software used to streamline and automate meetings and event bookings. Availpro is a leading provider of e-booking solutions, providing innovative and critical tools to help managers operate their online distribution and facilitate decision-making processes. Trust International is one of the world’s leading CRS providers and international hospitality partners helping hotel chains and hospitality with the latest distribution solutions. SHR is an innovative provider of advanced distribution technology and services for the hospitality industry. SHR’s Whiteboard Labs provides custom solutions including booking engines, website design, and cutting-edge applications. Travel Tripper is a full-service hotel web technology provider and strategic partner, powering properties with innovative technological solutions, including RezTrip, an industry-leading central reservation system and booking engine. 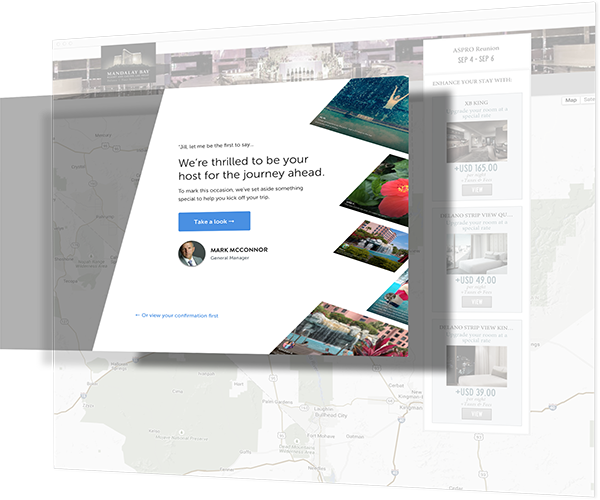 “Flip.to allows hotels to create new revenue opportunities by turning group guests into trusted advocates. For our customers, groups often represent 20% or more of their overall business. Every aspect of the advocacy platform is uniquely designed to fit with the brand goals of each customer. Exceeding those goals is even easier with partners who are experts in capitalizing on strong brand connections. Digital Alchemy is an industry-leading hospitality CRM provider for hotels, resorts and spas. Their proven Responsive Marketing™ system delivers more opportunities to build incremental revenue. Fuel is a true full-service marketing agency, focused on simple and effective solutions that deliver measurable results. Thought leaders in the industry publishing everything from traveler insights to weekly podcasts with insight from subject-matter experts and Fuel's own extensive experience. The NAVIS Revenue Performance Platform® transforms hospitality teams into revenue makers, enabling them to drive, capture and convert more profitable direct bookings. NAVIS delivers actionable guest insights so your teams can seamlessly sell and market together. “We were early proponents of Flip.to - our customers were among the first to sign on. Based on the outstanding results those hotels had, we wanted to pursue a deeper partnership for the benefit of all of our customers. No one knows your country better than a local, so we’ve partnered with like-minded companies to help bring advocacy to the world at large. 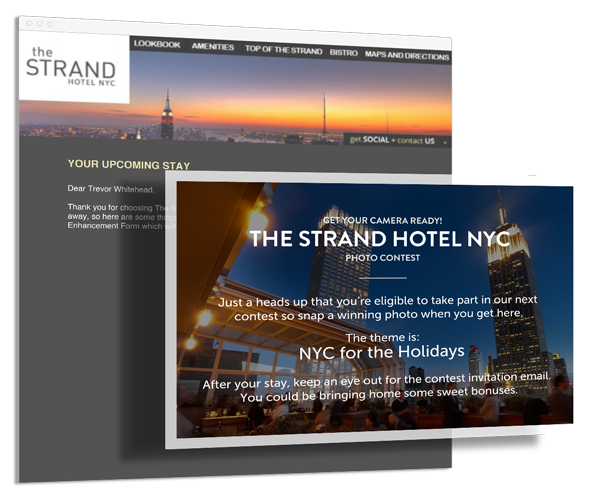 The Brand Mix works with hotels to implement, manage, and report on successful brand advocacy campaigns that results in more bookings from a hotel’s own website. Worldhotels is a global brand that brings together some of the world's most unique and independent hotels. It targets savvy business and leisure travellers that seek an authentic and local experience when choosing a hotel. Worldhotels now offers 450 hotels in 250 destinations and 65 countries worldwide. Flip.to partners with companies that readily embrace new ideas and strive to do right by their customers. Our aim is to work together to drive measurable bottom-line results with a high level of service. We believe partnerships should be meaningful, reciprocal and most importantly, to the benefit of our mutual customers.